What Do You Have When Put Plastic Plates, TP Rolls, Golf Tees And Duct Tape Together? You may ask what is the Bangle Stacker? 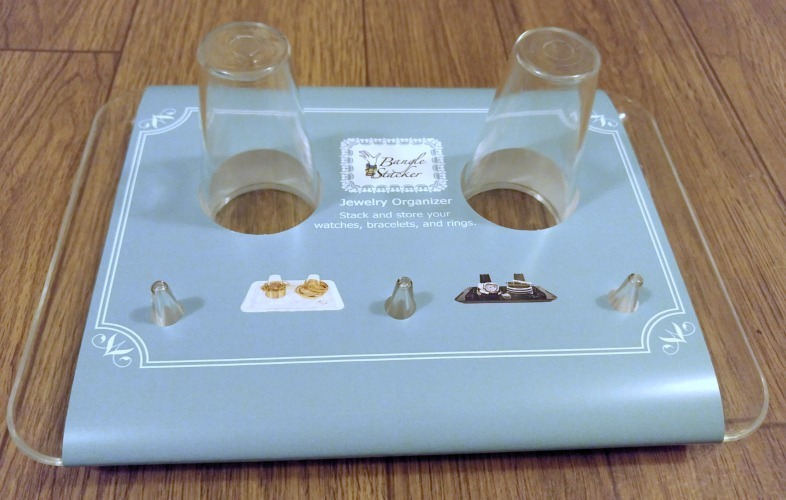 While not only being an amazing and cute way to organize all of your jewelry. It is so simple to use. Now you don’t have to purchase all different types of jewelry organizers. Because now you can store everything in ONE spot. 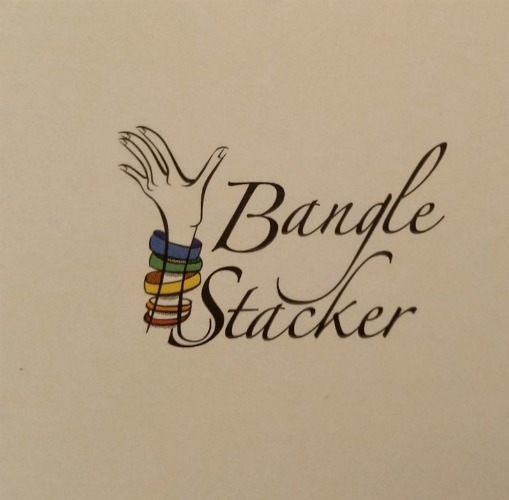 I love the story behind how Bangle Stacker was created. One day while trying to organize her jewelry Kate O’Malley got so frustrated. Her jewelry box was just too small. And her jewelry drawer was a complete mess. Ingenuity took over! She grabbed one of her kids plastic plates, 2 toilet paper rolls, golf tees and duct tape. Because, really, what job isn’t complete without duct tape? And when you look at the finished product you can see the design. When her daughter saw it – she needed one. Then her sister needed one and she realized that this really was a good product! Something thrown together at home has become the product needed by all women to help keep them organized! I am so in love with the design. Measuring 10″x 7″ – 3.5″ tall. It is tall enough and wide enough to hold all sizes of bracelets – and the pegs in the front will hold all of your rings. Another great thing – you can choose between acrylic ( black or clear ) or velvet ( pink or black ). The lip surrounding the Stacker is perfect for earrings or the backs. You could get creative and add flowers or lights around the inside. Also, if you have as many hair bows, headbands or hair ties as I do. This would be a great place to stack them and keep them together. So many uses for this. What other uses can you think of? Leave us a comment with your ideas and suggestions. I have one of my dresser and one on my bathroom sink. It has become my catch-all when I come home. Which means everything I need is right there at fingertips the next day.